“Zuckerberg General Hospital,” Travis Wise. The Guardian reports that some grantees of the Chan Zuckerberg Initiative (CZI) and other recipients of Zuckerberg’s philanthropy are beginning to worry about the taint. In fact, at Tuesday’s board of supervisors meeting in San Francisco, supervisor Aaron Peskin announced that he had requested for the city attorney to draft legislation aimed at removing Zuckerberg’s name from what is now called the Priscilla Chan and Mark Zuckerberg San Francisco General Hospital and Trauma Center. (Chan trained as a pediatrician there, and the couple donated $75 million to the facility.) When “the General” was renamed, the measure was controversial, but was eventually approved. “Given the continued scandals that Facebook has been involved in, including the most recent horrendous corporate behavior around engaging in an anti-Semitic fashion with George Soros, it is unbecoming to have Mark Zuckerberg’s name on the hospital,” Peskin said to the Guardian in a phone interview, adding that giving away naming rights to public institutions should be prohibited. NPQ has written about this issue in the past. 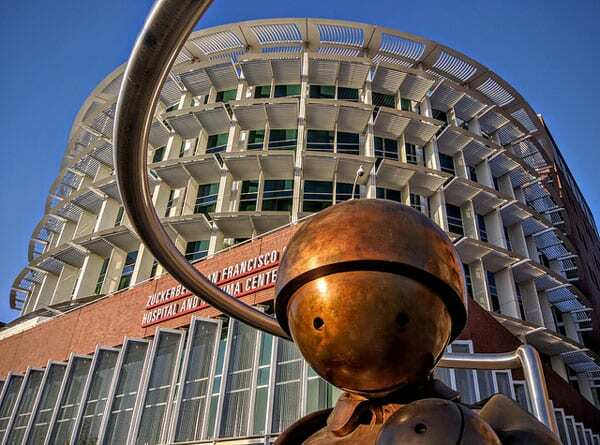 “It cannot be normal for this city to put a price tag on the branding of institutions and spaces that fundamentally belong to the citizens of this city,” he said Tuesday, noting that Zuckerberg’s contribution to the renovation of the public hospital was less than 10 percent of the contribution from the people of the city, who voted to approve a nearly $900 million bond measure to fund the project in 2008. Recent investigative coverage by the New York Times revealed that Facebook employed a conservative public relations firm to attack its critics, many of which are nonprofits like Color of Change, by linking them to the Open Society Foundations (OSF) and George Soros in what some have characterized as an anti-Semitic attack built on old tropes about Jewish conspiracies. These attacks on OSF and Soros have become common weapons of right-wing political actors over the last decade, and many were shocked to see that a public relations firm used by some of these actors was paid by Facebook to plant false stories in the media and on websites to tamp down criticism of the social media giant in the wake of the Cambridge Analytica scandal. One employee of a nonprofit that gets funding from both OSF and CZI says the group is recently taking more heat for its Chan-Zuckerberg support.